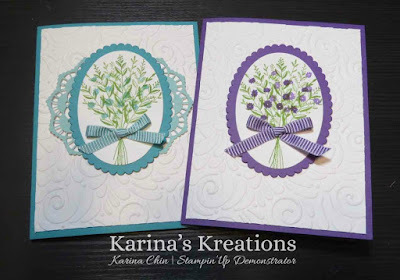 Karina's Kreations: Stampin'Up Wishing You Well Doily Card! Stampin'Up Wishing You Well Doily Card! I needed some congratulations cards so I pulled out my Wishing You Well stamp set. You can purchase the stamp set and the new Swirls and Curls textured embossing folder September 5th. I couldn't decide if I wanted to use a doily on my card. 1) To personalize the back of your card, use the Make a Difference stamp set. It comes with 10 different options. 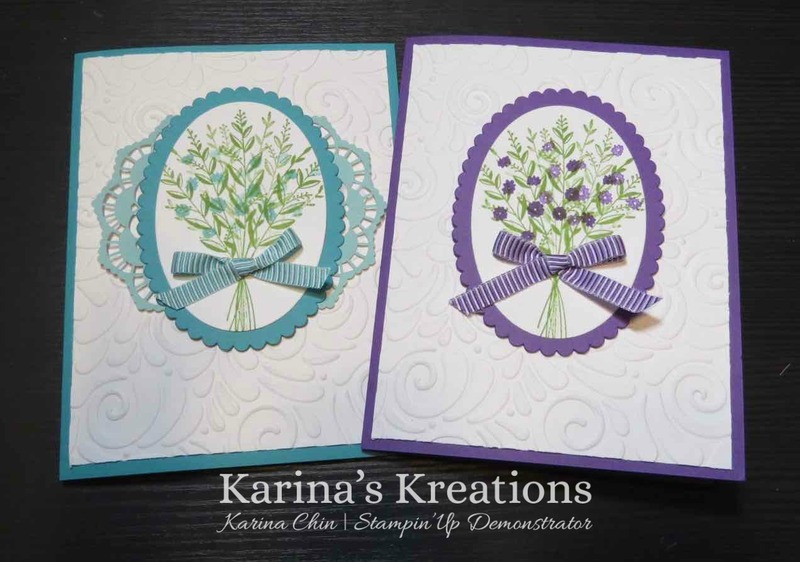 2) To save some card stock, stamp the flower image in the middle of Whisper White card stock and cut with the Oval framelit. 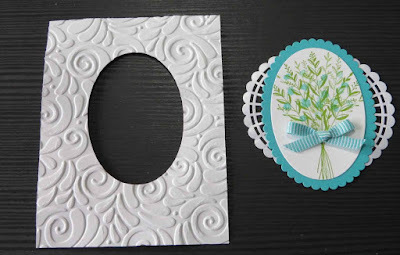 Attach it to a scallop oval shape and attach over the hole with Stampin' Dimensionals. You can't even see where the image was cut out. What do think? 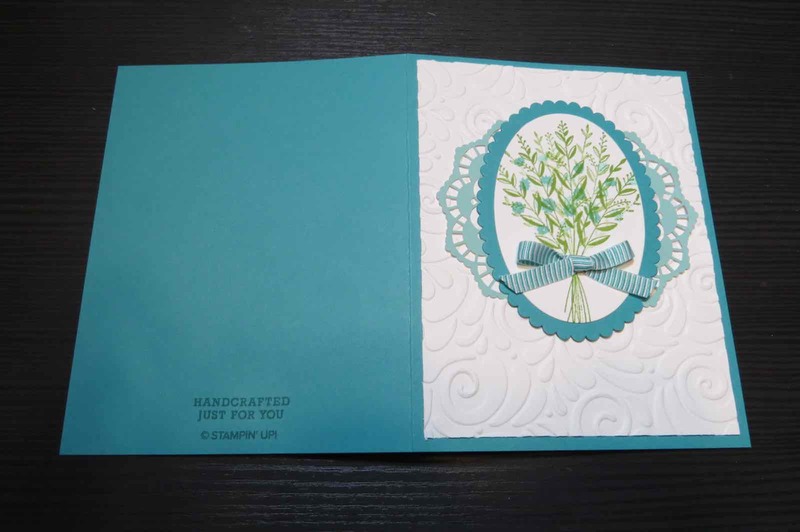 To place an order for these cards, please click on a picture below and go to my Stampin' store.